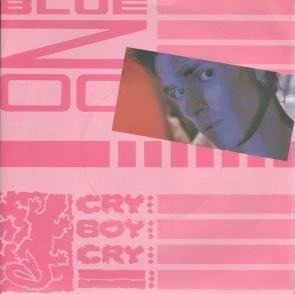 BLUE ZOO - "CRY BOY CRY"
Now this was a quality one hit wonder of the 80s. Blue Zoo charted at number 13 in the UK singles music charts in November 1982 with this upbeat number, seen here performed on BBC1's Top of the Pops - apparently, this is the band's first appearance on the show - you can see the original video further down the page. Blue Zoo were originally called Modern Jazz and were active between 1980 and 1985. Sadly, their other singles failed to make the top 40, but they did released an album called Two By Two - sometimes written as 2x2 or 2By2 - in 1983. The band reformed in 2010, and in 2013 released a new compilation album In Love & In Life. They also toured the Philippines.